Operating on the Leipzig S2 S-Bahn, Rapid Transit tests your skills as a train driver on one of the most iconic railway lines in Germany. You need to keep your nerve under immense pressure, keeping passengers happy while negotiating complex controls and safety systems, adverse signals and tight timetables. It’s an authentic experience inside and outside the cab, with real world data powering the performance, sounds and feel of the trains. 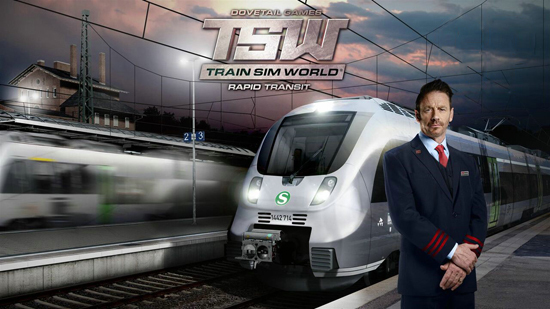 With Dovetail Games’ proprietary SimuGraph vehicle dynamics engine and Unreal Engine 4 technology behind it, the power behind Train Sim World: Rapid Transit matches the trains on the tracks. 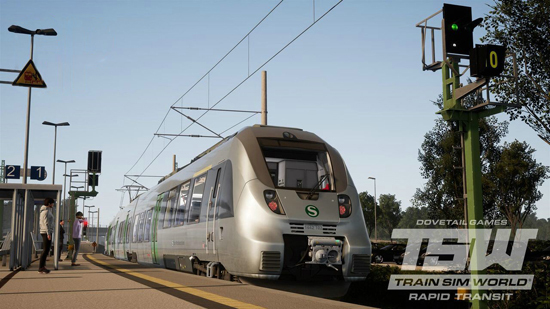 If you are new to train sims, an accessible tutorial will teach you everything you need to know, ensuring you have all the skills you need to command the powerful DB BR 1442 ‘Talent 2’ locomotive with confidence. You can test those newly-learned skills in Service Mode, which recreates an entire 24-hour timetable based on real activities and lets you experience a full ‘day-in-the-life’ of a train driver. There are also five authentic scenarios that provide some interesting and varied challenges to complete. For owners of Train Sim World: CSX Heavy Haul, Rapid Transit is available now for £24.99, for new players it is available as part of a two part Train Sim World bundle with CSX Heavy Haul for £34.98 or as part of a three part Train Sim World bundle with CSX Heavy Haul and Great Western Express for £52.47.